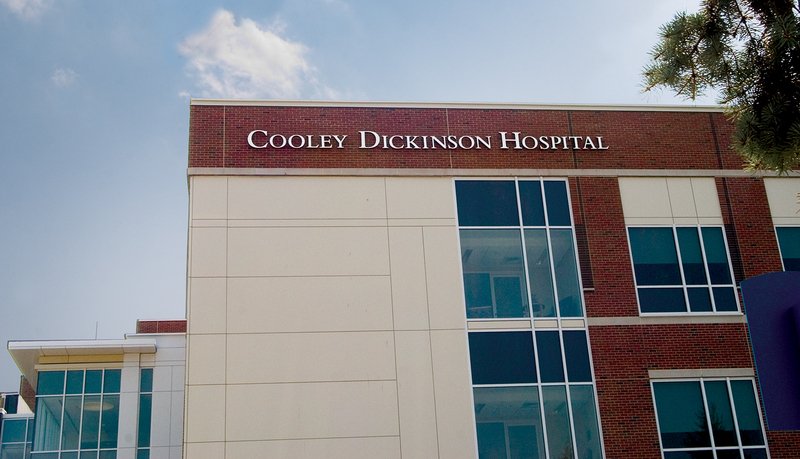 Cooley Dickinson Hospital (CDH) is an acute care hospital that has provided patient-centered healthcare services to the Northampton community for over 100 years. 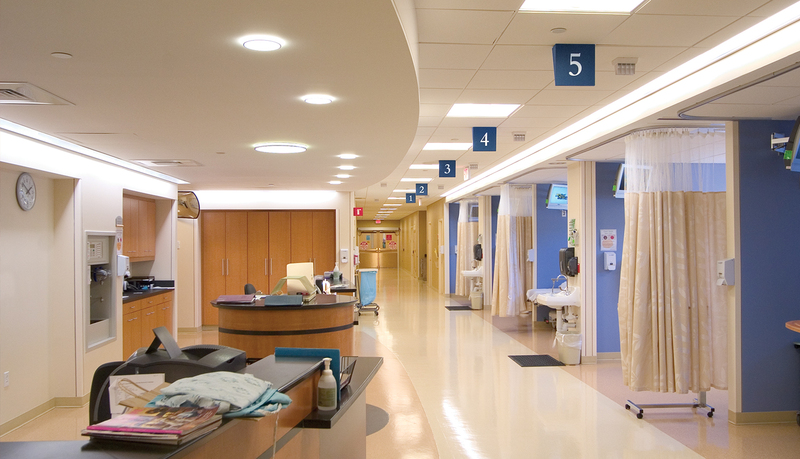 Cooley Dickinson features state-of-the-art diagnostic technology and progressive healthcare programs in a full-service hospital. 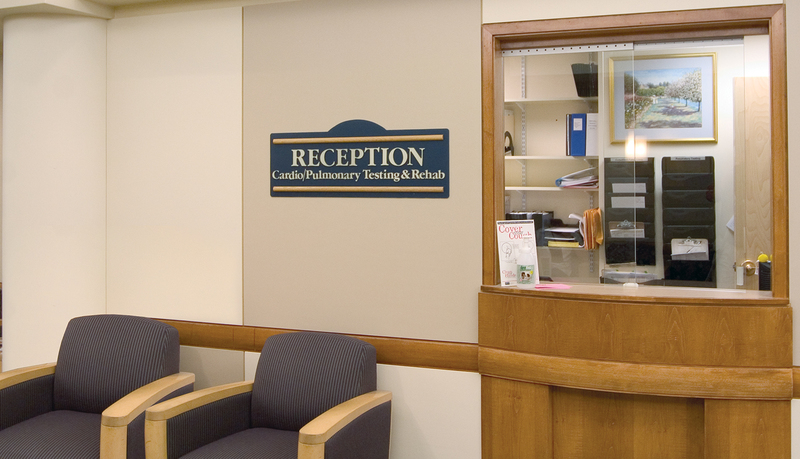 Cooley Dickinson recently added the Kittredge Surgery Center featuring spacious surgical suites and private preoperative and postoperative recovery areas. 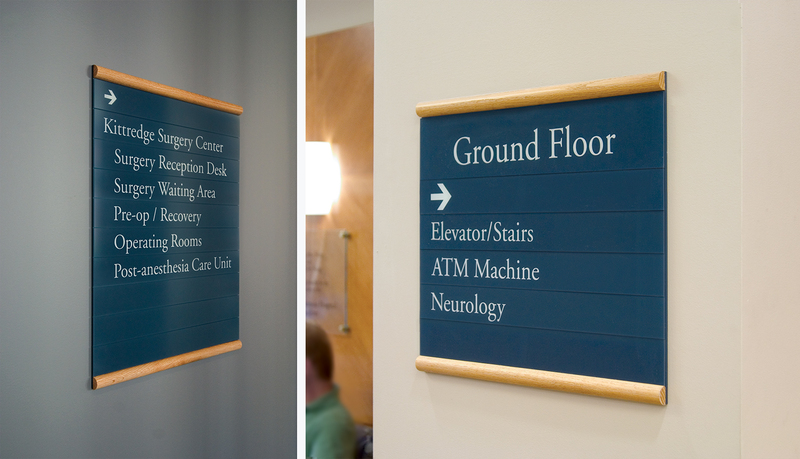 The new area needed a signage system to guide visitors throughout the facility, while matching the existing signs in the original hospital. 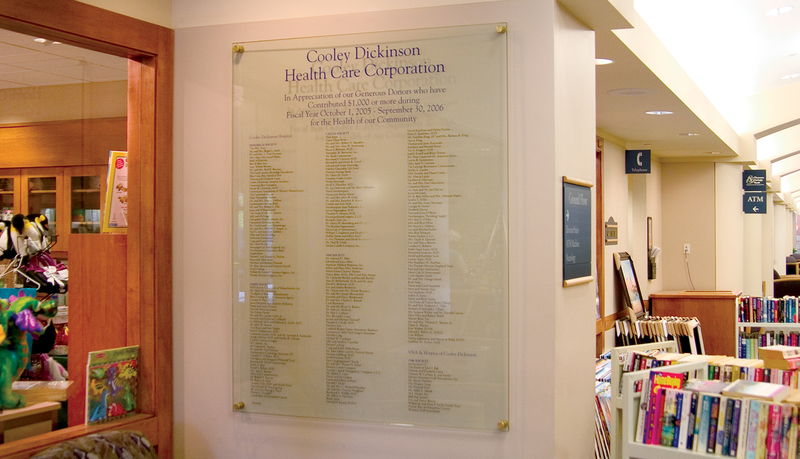 Additionally, Cooley Dickinson wanted donor signage to recognize the generous contributions of people who made the surgery center possible. 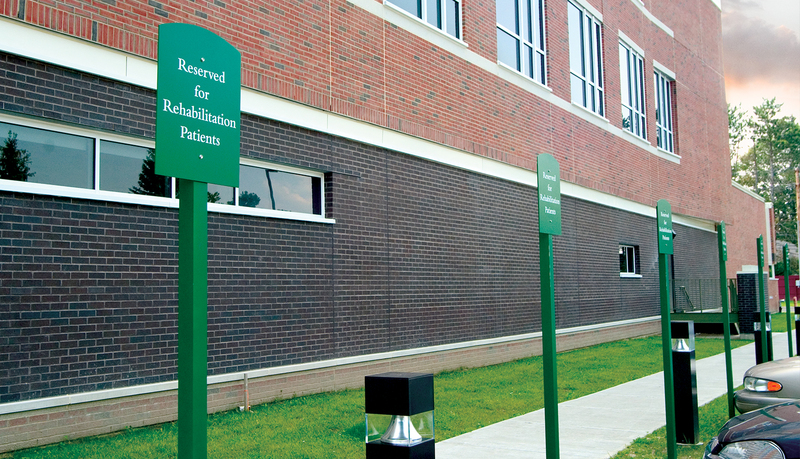 Cooley Dickinson Hospital has been a long-time customer of ASI. 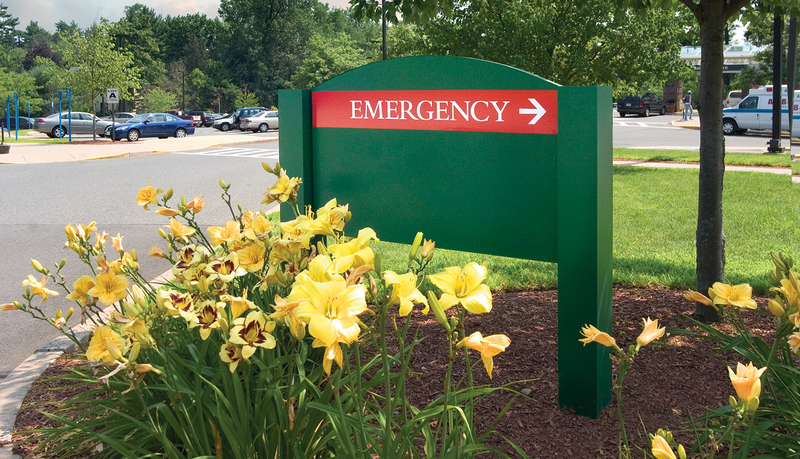 CDH asked ASI to provide signage for the Kittredge Surgery Center based on the hospital standard developed by ASI several years ago. 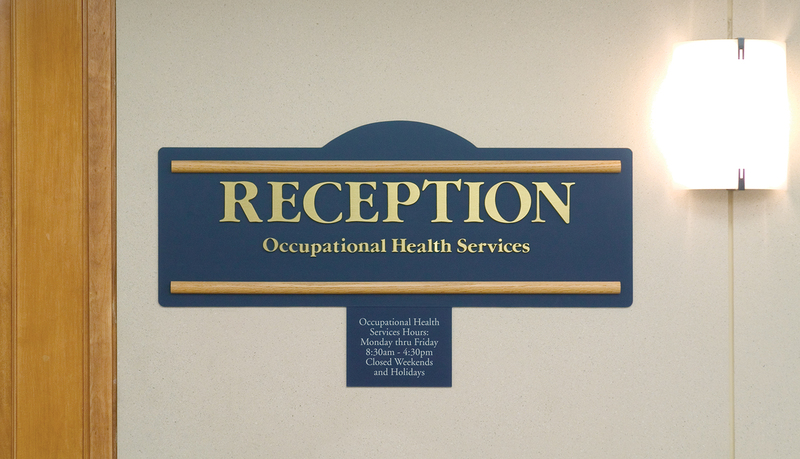 The interior signage solution consists of blue custom directional signs and room IDs that are distinctively framed in wood. 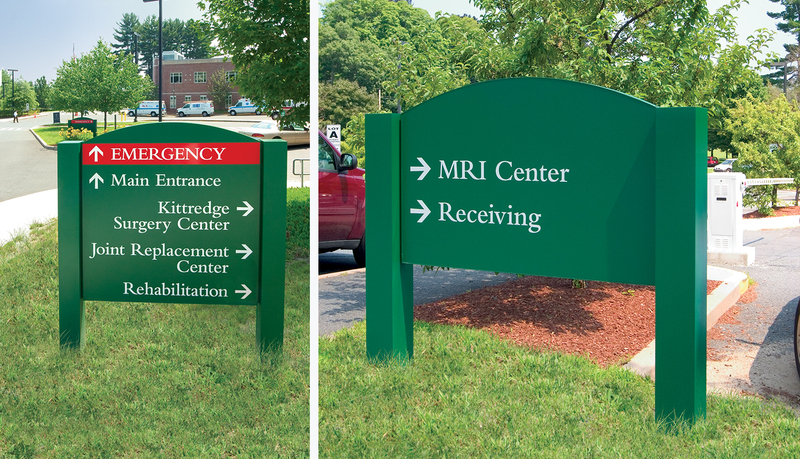 The directional signage incorporates removable panels to allow for easy updates as changes occur. 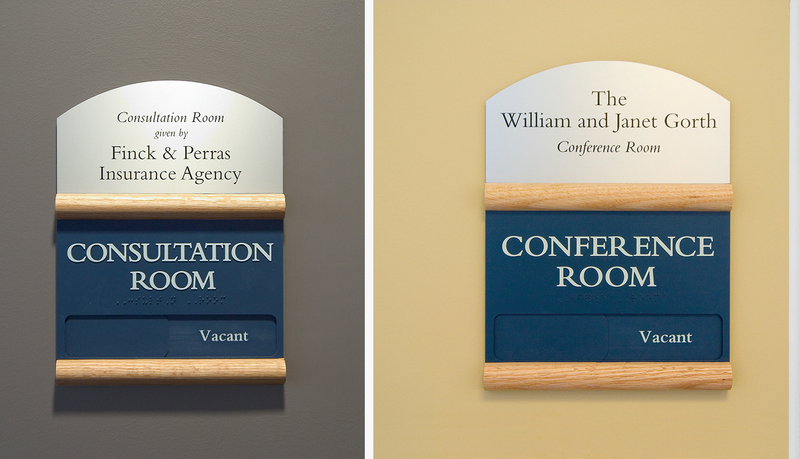 The room IDs have vacant/in-use sliders, where appropriate, and include an additional arched, silver sign panel at the top to acknowledge the entities that funded the room. 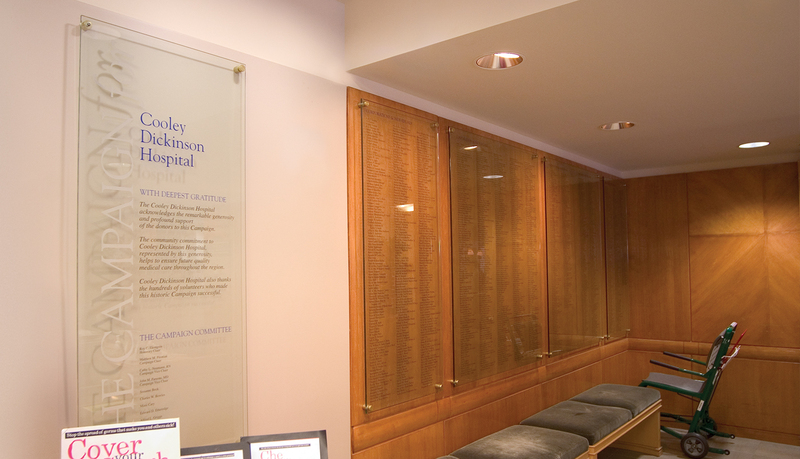 These donor panels were designed by Mitchell Associates. 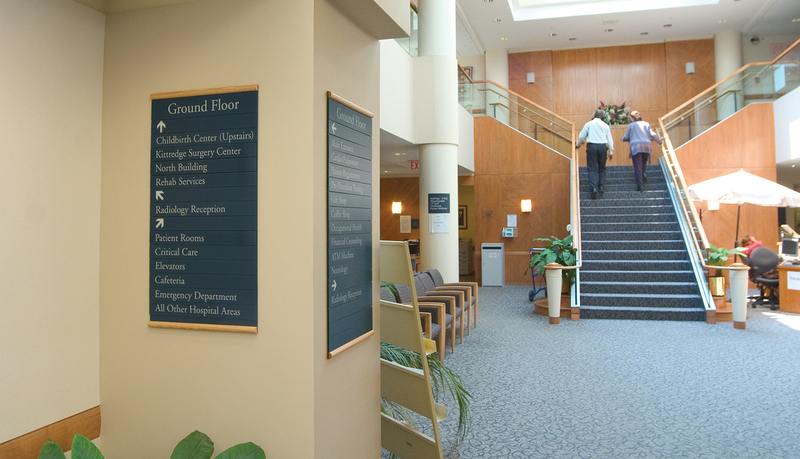 ASI also provided specific donor signs to recognize the considerable contributions that helped to make the Kittredge Surgery Center possible. 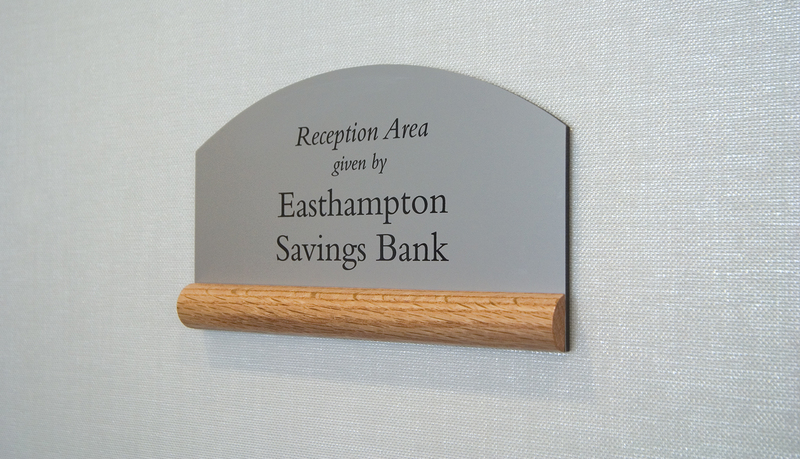 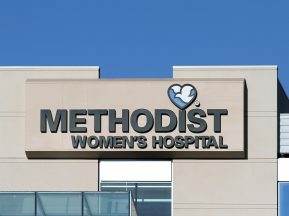 The two large donor signs were created from glass panels with subsurface vinyl and brass mounting hardware that afford a very distinguished look worthy of the generous contributors. 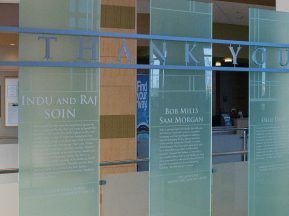 Every year, CDH returns the donor signs to ASI to have them updated with the names of the most recent annual donors. 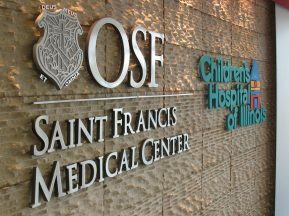 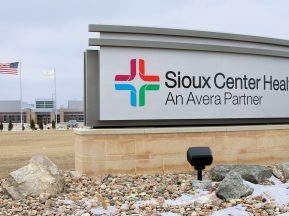 For the exterior of the building, ASI provided reverse channel illuminated LED letters on the face of the building and a post & panel vehicular wayfinding signage system to efficiently guide visitors through the hospital campus. 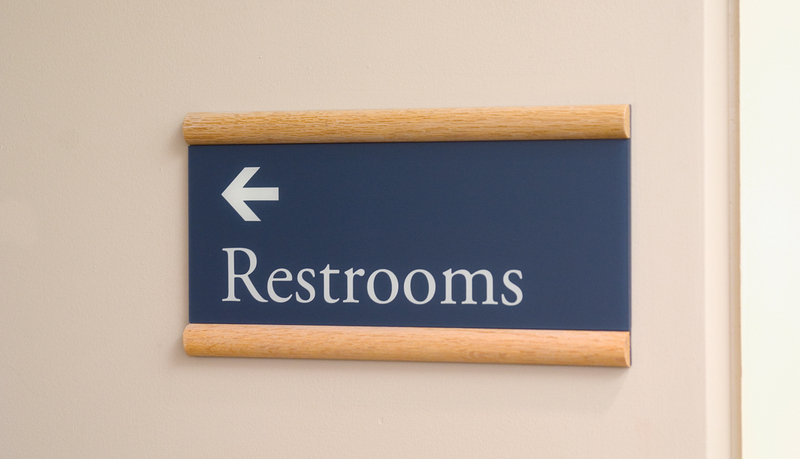 Both the letters and the post & panel signs were also designed by Mitchell Associates.